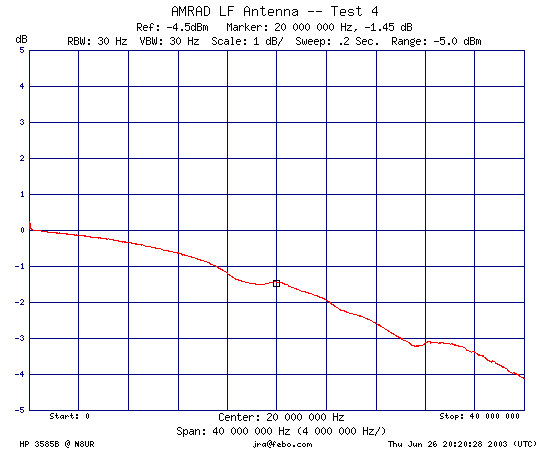 AMRAD is a group of hams doing some neat stuff that's a bit off the beaten path in amateur radio. One of their interests is low frequency transmission and reception, and Frank, K0BRA, developed a very high performance active antenna to help them. 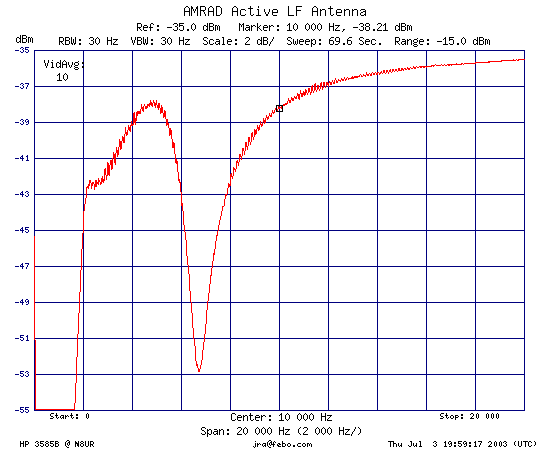 The antenna was the subject of an article in the September, 2001 issue of QST Magazine and there's some additional information available at their LF Antenna Project web page. Though the antenna isn't too difficult to build, I took the easy course and bought an assembled unit from Doug Baker, whose contact information I'll put up here when he's ready. 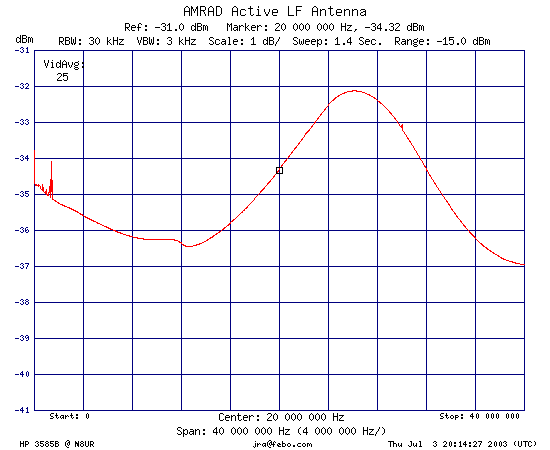 This page has some swept frequency plots and other information about my copy of this antenna. 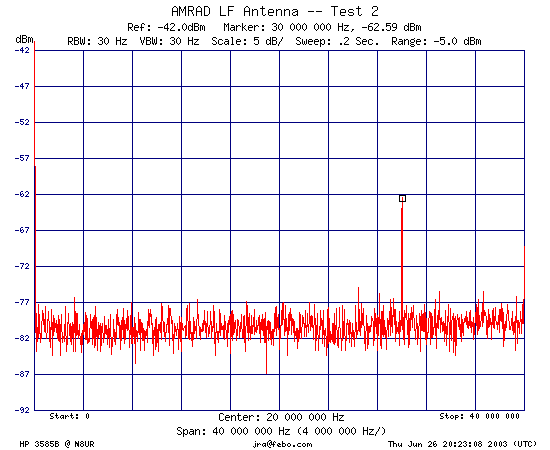 The following images are all swept frequency plots of the entire antenna system. 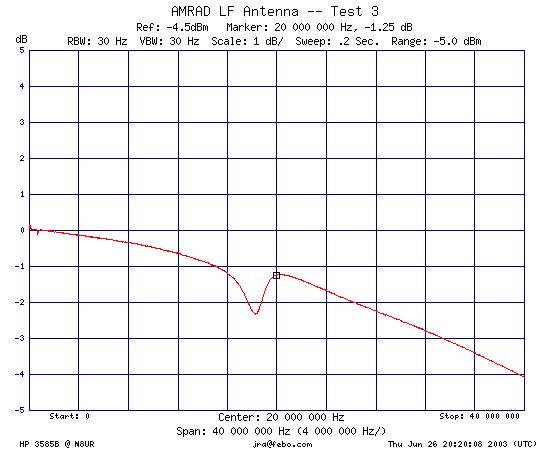 The input signal was about -20dBm terminated in a 50 ohm load, with an 11 pf capacitor (actually, two 22pf caps in series) coupling the terminated signal into the antenna. 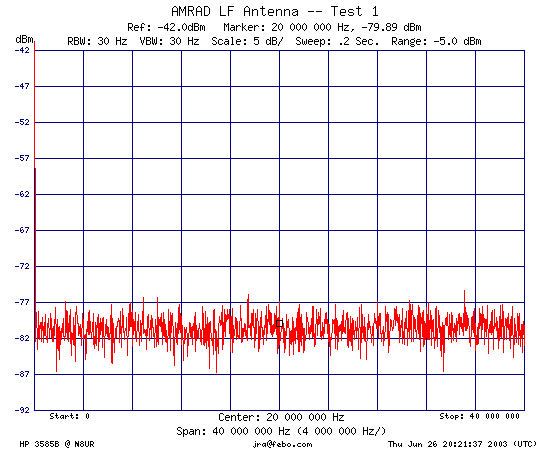 Image 7 -- This is a sweep of the 160-190kHz "Lowfer" band taken with the antenna located in my basement and a 36 inch whip attached. 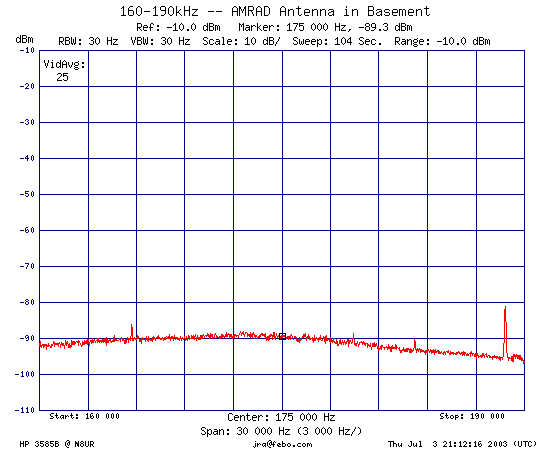 The point is to capture the noise floor in the basement, and then see how much better it is when the antenna is installed outside and clear of the dozens of computers and switching supplies that are running in the basement.